When confronted with such a question, most Christians would automatically go to the New Testament to read the recorded words of Jesus to see if such a statement occurs. 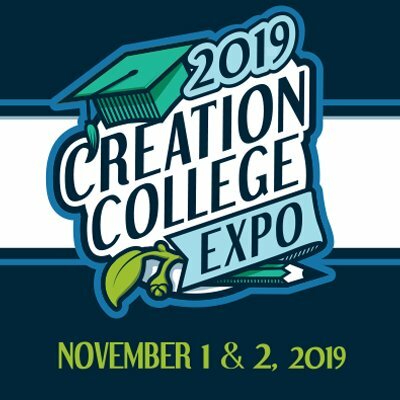 We see that Jesus clearly taught that the creation was young, for Adam and Eve existed “from the beginning,” not billions of years after the universe and earth came into existence. In John 5:45–47 , Jesus says, “Do not think that I shall accuse you to the Father; there is one who accuses you—Moses, in whom you trust. For if you believed Moses, you would believe Me; for he wrote about Me. But if you do not believe his writings, how will you believe My words?” In this passage, Jesus makes it clear that one must believe what Moses wrote. And one of the passages in the writings of Moses in Exodus 20:11 states: “For in six days the Lord made the heavens and the earth, the sea, and all that is in them, and rested the seventh day. Therefore the Lord blessed the Sabbath day and hallowed it.” This, of course, is the basis for our seven-day week—six days of work and one day of rest. Obviously, this passage was meant to be taken as speaking of a total of seven literal days based on the Creation Week of six literal days of work and one literal day of rest. In fact, in Luke 13:14 , in his response to Jesus healing a person on the Sabbath, the ruler of the synagogue, who knew the law of Moses, obviously referred to this passage when he said, “There are six days on which men ought to work; therefore come and be healed on them, and not on the Sabbath day.” The sabbath day here was considered an ordinary day, and the six days of work were considered ordinary days. This teaching is based on the Law of Moses as recorded in Exodus 20 , where we find the Ten Commandments—the six-day Creation Week being the basis for the Fourth Commandment. We should also note the way Jesus treated as historical fact the accounts in the Old Testament, which religious and atheistic skeptics think are unbelievable mythology. These historical accounts include Adam and Eve as the first married couple ( Matthew 19:3–6 ; Mark 10:3–9 ), Abel as the first prophet who was killed ( Luke 11:50–51 ), Noah and the Flood ( Matthew 24:38–39 ), Moses and the serpent in the wilderness ( John 3:14 ), Moses and the manna from heaven to feed the Israelites in the wilderness ( John 6:32–33, 49 ), the experiences of Lot and his wife ( Luke 17:28–32 ), the judgment of Sodom and Gomorrah ( Matthew 10:15 ), the miracles of Elijah ( Luke 4:25–27 ), and Jonah and the big fish ( Matthew 12:40–41 ). As New Testament scholar John Wenham has compellingly argued, Jesus did not allegorize these accounts but took them as straightforward history, describing events that actually happened just as the Old Testament describes.2 Jesus used these accounts to teach His disciples that the events of His death, Resurrection, and Second Coming would likewise certainly happen in time-space reality. 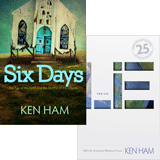 These passages taken together strongly imply that Jesus took Genesis 1 as literal history describing creation in six 24-hour days. But are there any more explicit passages? I believe there are. However, one has to approach this issue in a slightly different manner. We are not limited to the New Testament when we try to find out if Jesus stated He created in six days; we can also search the Old Testament. After all, Jesus is the Second Person of the Trinity and therefore has always existed. First, Colossians makes it clear that Jesus Christ, the Son of God, was the one who created all things: “For by Him all things were created that are in heaven and that are on earth, visible and invisible, whether thrones or dominions or principalities or powers. All things were created through Him and for Him. And He is before all things, and in Him all things consist” ( Colossians 1:16–17 ). We are also told elsewhere in Scripture how Jesus created: “By the word of the Lord the heavens were made, And all the host of them by the breath of His mouth. For He spoke, and it was done; He commanded, and it stood fast” ( Psalm 33:6-9 ). We see the meaning of this when we consider the miracles of Jesus during His earthly ministry. All the miracles occurred instantly—at His Word. He instantly turned water into wine in His very first miracle, which “revealed His glory” as the Creator ( John 2:1–11 ; John 1:1–3, 14, 18 ). It was the instant calming of the wind and the waves that convinced His disciples that He was no mere man. So it was with all His miracles ( Mark 4:35–41 ). He did not speak and wait for days, weeks, months, or years for things to happen. He spoke and it was done. So, when He said, “Let there be . . .” in Genesis 1, it did not take long ages for things to come into existence. We also know that Jesus is in fact called the Word: “In the beginning was the Word, and the Word was with God, and the Word was God. He was in the beginning with God. All things were made through Him, and without Him nothing was made that was made” ( John 1:1–3 ). Jesus, who is the Word, created everything by simply speaking things into existence. Yes, Jesus did explicitly say He created in six days. Now, consider Exodus 20:1 : “And God spoke all these words, saying . . . .” Because Jesus is the Word, this must be a reference to the preincarnate Christ speaking to Moses. As we know, there are a number of appearances of Christ (theophanies) in the Old Testament. John 1:18 states: “No one has seen God at any time. The only begotten Son, who is in the bosom of the Father, He has declared Him.” There is no doubt, with rare exception, that the preincarnate Christ did the speaking to Adam, Noah, the patriarchs, Moses, etc. Now, when the Creator God spoke as recorded in Exodus 20:1, what did He (Jesus) say? As we read on, we find this statement: “For in six days the Lord made the heavens and the earth, the sea, and all that is in them, and rested the seventh day” (Exodus 20:11). Yes, Jesus did explicitly say He created in six days.3 Not only this, but the one who spoke the words “six days” also wrote them down for Moses: “Then the Lord delivered to me two tablets of stone written with the finger of God, and on them were all the words which the Lord had spoken to you on the mountain from the midst of the fire in the day of the assembly” ( Deuteronomy 9:10 ). Jesus said clearly that He created in six days. And He even did something He didn’t do with most of Scripture—He wrote it down Himself. How clearer and more authoritative can you get than that? Previous Chapter Does Distant Starlight Prove the Universe Is Old? Next Chapter How Did Defense/Attack Structures Come About? 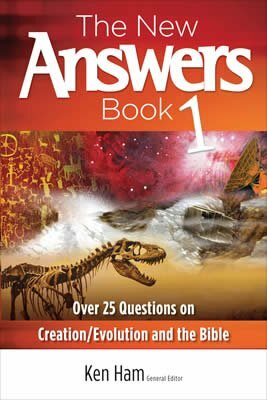 The New Answers Book 1 is packed with biblical answers to over 25 of the most important questions on creation/evolution and the Bible. See William Whiston, transl., The Works of Josephus, Hendrickson, Peabody, Massachusetts, p. 850, 1987, and Paul James-Griffiths, “Creation days and Orthodox Jewish Tradition,” Creation 26(2): 53–55, https://answersingenesis.org/days-of-creation/creation-days-and-orthodox-jewish-tradition/. John Wenham, Christ and the Bible, IVPress, Downers Grove, Illinois, pp. 11–37, 1973. Even if someone is convinced that God the Father was the speaker in Exodus 20:11 , the Father and Son would never disagree. Jesus said in John 10:30 : “I and my Father are one” [neuter—one in the essence of deity, not one in personality]. He also said, “I speak these things as the Father taught me,” and “I always do the things that are pleasing to Him” ( John 8:28–29 ).